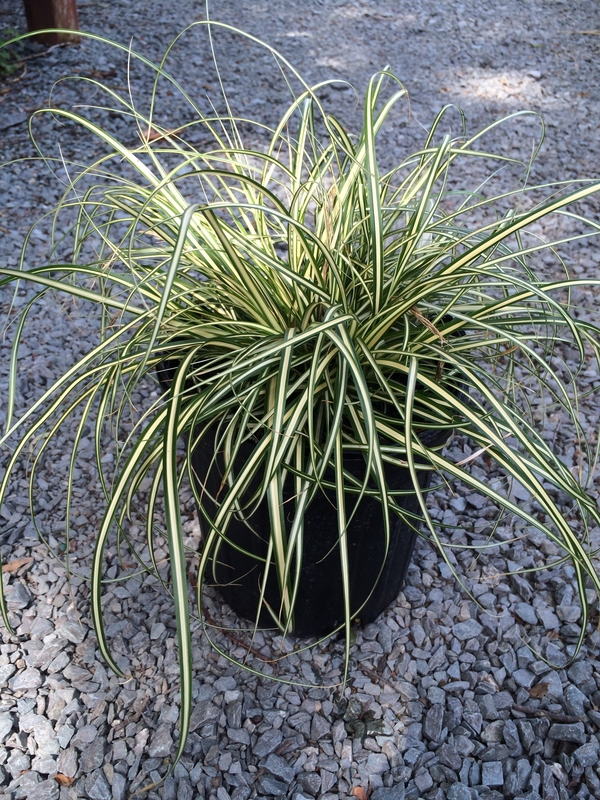 Evergold is a low growing sedge with bright yellow and green foliage that holds its color year round. Grows approximately 1 foot in height and width. Prefers partial to full shade and is drought tolerant once established.